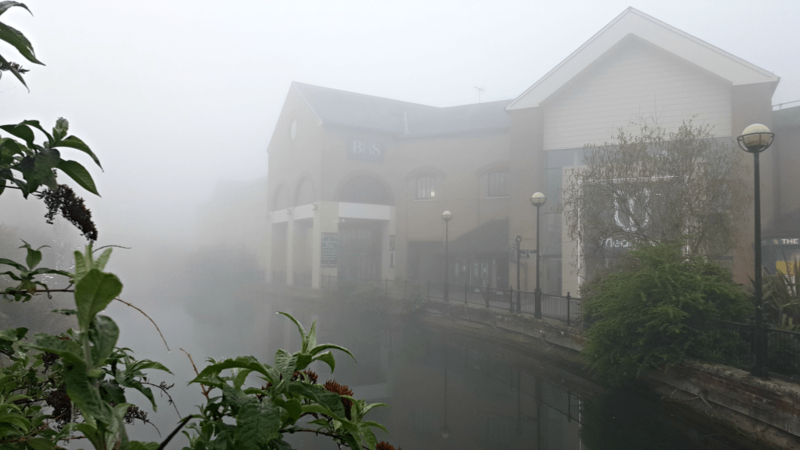 After a few days of sunshine it was odd to wake up yesterday to see Chelmsford in the fog. As I strolled for my morning coffee at Costa I stopped on Friendship Bridge. The city was eerily quiet and still as I took a picture of The Meadows surrounded by fog. We’ve had a few mornings like this…it soon cleared up.